The “fun” of high school life will end quickly and for some students, deciding on a career path can be difficult. Students question the importance of taking certain school courses as they don’t understand the connection to the world of work. 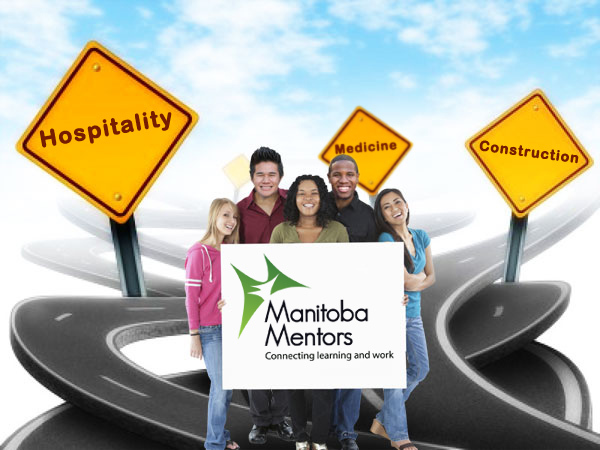 Manitoba Mentors was developed to assist youth in transitioning successfully from school to work, training or post-secondary. Be inspired to graduate from school and move on to the next phase of “life-long learning”! Take advantage of this unique program to explore careers in Manitoba! We offer three options of participation through your school: tour an industry, listen to a school presentation, or interview an employer whose career interests you. Let us help you with your career decisions.